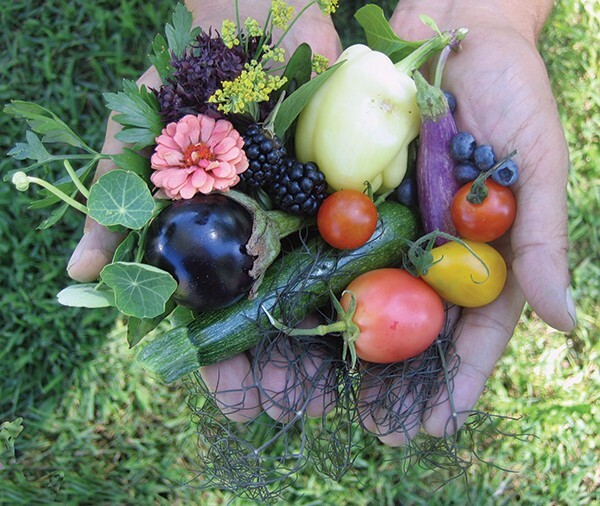 Fresh-picked fruits, vegetables, and flowers from Kelder's Farm in Kerhonkson. You can't put all your eggs in one basket," says Billiam van Roestenberg, co-owner of Liberty View Farm in Highland. The farmer isn't referring to his daily chores, though. He's talking about the importance of agritourism. "We lost all of our crops last year in April due to frost when the trees were in full bloom," says van Roestenberg. "I've been telling other farmers [since] even before hurricane [Irene], you have to do other things to create revenue streams." It is indeed an unhappy coincidence that the rise in interest in whole foods and local agriculture coincides with potentially devastating shifts in the environment. "Between hurricanes, severe storms, supercells with high winds, tornado warnings, and frost appearing more regularly, it's definitely affecting us farmers," says van Roestenberg. Many farmers already hold second jobs to make ends meet; now their main source for generating income on the farm is more than ever at the mercy of extreme and unpredictable weather trends. In such a scenario, farmers find themselves in a troubling position, especially when the stretches of farms that patch the Hudson Valley offer the acre-abundant lands of a developer's dreams. Madava Farms, home of Crown Maple syrup, in Dover Plains. Luckily, there are organizations like Scenic Hudson working to preserve this sought-after land (some of the most naturally fertile in the country). Scenic Hudson's latest preservation initiative in the area has resulted in the purchase of $5.1 million in development rights from farms in Dutchess and Columbia Counties. Protecting land from development, though, will only go so far if farms can't sustain themselves. In the face of major environmental changes, the traditional methods of reaping and sowing must be reimagined to keep farms afloat. Through agritourism, regional farmers are finding inventive ways to make ends meet. 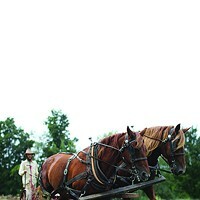 Despite the difficult work involved, farming is a romanticized job, and for good reason. Anyone who has watched a flower or vegetable grow from a tiny seed knows the simultaneous practicality and magic of growing your own food. This is a way of life that people want to know more intimately—especially people who spend their days in crowded cities. "My idea for the farm stay was that people could experience the same kind of experience that I had just getting out at night," says Renee Iacone, co-owner of Kinderhook Farm in Ghent. "Having a cocktail, looking at the animals, the sunset, the pastures, smelling the smells in a really relaxed way." Kinderhook offers a loft-style barn on its property that accommodates up to four adults and two children. During a stay, people can just enjoy the ambiance of the grounds or they can get involved with the daily chores of running a farm, like picking vegetables, milking cows, herding sheep, and making cheese and butter. A popular resource being used by other regional farmers is Airbnb, a website for booking unconventional accommodations. Van Roestenberg uses Airbnb to book his farm-stay options at Liberty View Farm, which includes a wooden yurt with no electricity or water. Sprout Creek Farm in Poughkeepsie also uses the website to book its three-bedroom cottage with a working fireplace and garden. According to Johnny Sottile of Elmartin Farm in Cheshire, Massachusetts—which will offer accommodations for the first time this year—farm stays are an easier way for farmers to generate income. "It also gets people back in touch with something they've been separated from," says Sottile, who feels the prepackaged state of the industrialized food market distances people from the realities of food production. 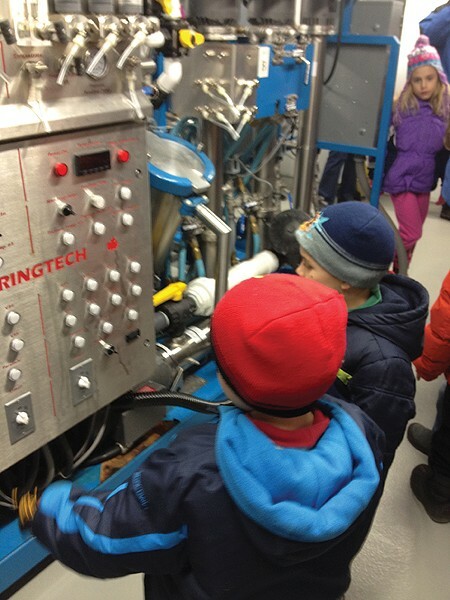 Children ogling the industrial-sized, state-of-the-art reverse osmosis machine at Madava Farms, home of Crown Maple syrup, in Dover Plains. 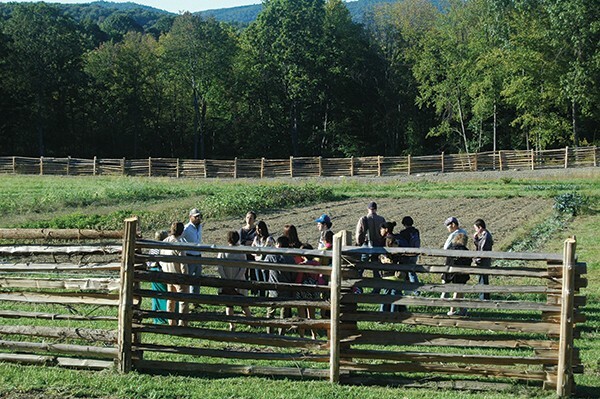 Such educational values are at the heart of Sprout Creek Farm in Poughkeepsie, which was the brainchild of three teachers at an independent school for girls. For 31 years, Sprout Creek Farm has been offering classes, workshops, programs, and camps that give people the chance to experience farm life first-hand, including how to make their international award-winning cheeses. "We tried to make our farm totally accessible in that way so that people could have a chance to really get on the farm, and more than that, to learn what it means to do the work of farming," says Margo Morris, executive director of the nonprofit. Sprout Creek's programs are sometimes booked more than a year in advance, and their year-round offerings include summer camps, cooking classes (with CIA-trained chefs), service-based programs, parent-child weekends, and social and environmental awareness programs. 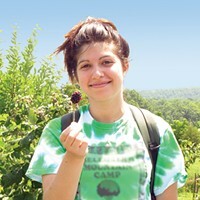 Many of these programs involve a hands-on farm-stay experience. "We offer comprehensive overnight programs where people are able to go out and milk the cows, milk goats, and do the actual work of the farm." Sprout Creek also offers instruction on preparing meals from whole foods, and comparative tastings with store-bought versus farm-grown foods. While many people visit local farms because they're interested in learning about sustainable agriculture, there are also options for those just looking for a fun, different way to spend the weekend. The not-even-one-year-old Madava Farms, home of Crown Maple syrup in Dover Plains, opened their facilities with agritourism activities in mind, like their year-round maple tours, which have been selling out every weekend. "That is a behind-the-scenes 30-minute tour that takes you through the path that the sap takes from when it enters the building to when it goes to the barrel," says Sherri Darocha, director of tourism and programming. "It ends with a five-stage culinary tasting." Many of the events offered at Madava Farms are centered around the culinary arts, spicing up the informative tours. Liz and Oren on Liberty View Farm in Highland. Photo courtesy Maggie Heinzel-Neel. 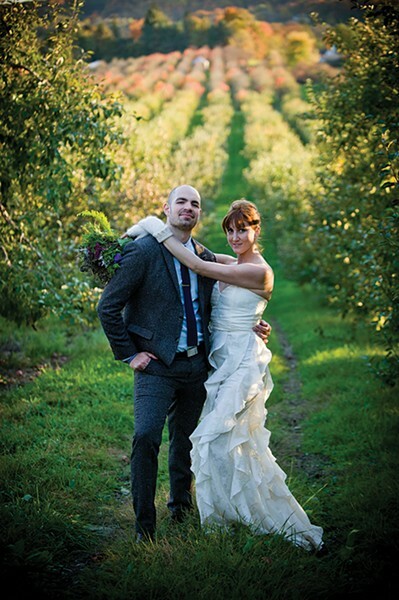 Responding to the region's popularity as a destination for rustic, outdoor, DIY-style weddings, Liberty View Farms doubles as a celebration venue. The weddings held there bring in anywhere between 100 and 300 guests, which means the whole local economy benefits. "All these people not only come into my farm, but are staying in local B&Bs, hotels, and motels, and eating out for dinner and lunch," says van Roestenberg. 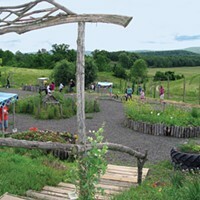 "Some rent the farm for four or five days and go out to parks, restaurants, and museums while using the farm as a base. 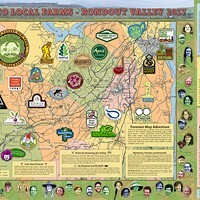 It goes throughout the whole economic foundation of the Hudson Valley," he says. 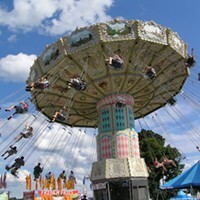 When visitors don't have time to stay on a farm, take a tour, or plan a special event, many Hudson Valley farms offer roadside attractions for people just passing through. Such attractions range from a device that launches pumpkins into the sky at Gill Corn Farms in Hurley to a good old-fashioned corn maze, like the 22-acre maze at Kettle Farms in Hoosick. 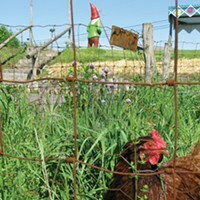 Kelder's Farm in Kerhonkson is home to a couple of one-of-a-kind attractions in addition to their traditional farm offerings. 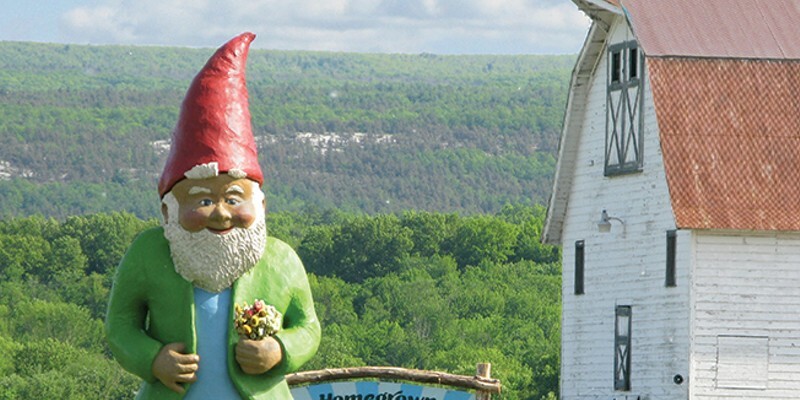 Gnome Chomsky, as he's lovingly referred to, was once the world's largest garden gnome at 13½ feet tall. The gnome is just one half of Maria Reidelbach's goal of creating a roadside attraction that promotes sustainable food and local farming. Her mini-golf course is the other. "It's entirely landscaped with edible plants," says Reidelbach. "The whole thing is annotated with little signs that identify the plants and share some tidbits of fascinating information—folklore, etymology, cooking tips—and people are invited to nibble on anything that's ripe." Reidelbach notes how the golf course raises awareness and interest in locally grown food in people who may not have otherwise been exposed to it. "The kids love it," she says. "They get so surprised and take little samples and put it in their pockets to take home." 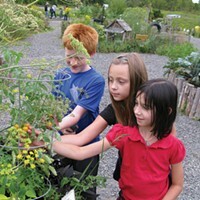 The Homegrown Mini Golf course at Kelder's Farm in Kerhonkson is surrounded by edible plants. Whether through farm stays, classes, special events, or surprising attractions, agritourism is helping farmers in the Hudson Valley meet their bottom line. Not only does this mean there are more exciting opportunities for engaging with local agriculture, but that the region's fertile lands can continue to provide good, wholesome food to the communities of the Hudson Valley. 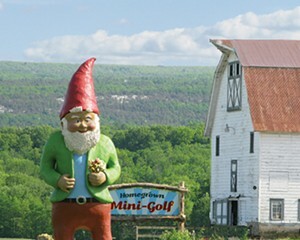 Homegrown Mini-Golf at Kelder's Farm in Kerhonkson features a two-story tall Garden Gnome statue. 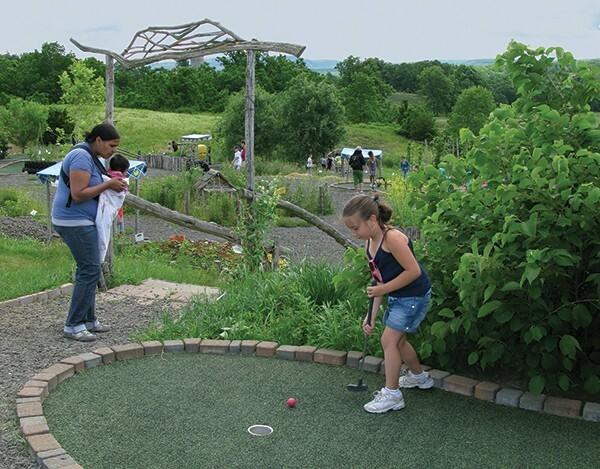 The Homegrown Mini-Golf Course on Kelder's Farm in Kerhonkson is landscaped with edible plants, so you can eat while you play.